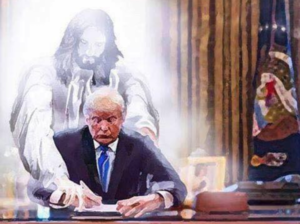 “Could it be that President Trump right now has been sort of raised for such a time as this, just like Queen Esther, to help save the Jewish people from the Iranian menace?” [Christian Broadcasting Network reporter Chris] Mitchell asked Pompeo. The short–very, very short–version of the backstory to this question is that many American evangelical Christians believe the foundation of the modern state of Israel in 1948 was the fulfillment of prophecy meant in the end to culminate in the cataclysmic events of the Biblical book of Revelations. Although this would seem to indicate a ready common interest between American Christians and the Jewish state, it should be noted that according to a strict reading of the book of Revelations, the Jews will either convert to Christianity or be sent to burn in Hell for all eternity. Not surprisingly, many Jews take a dimmer view of evangelical “support” once they understand this. 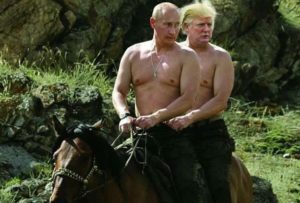 Isn’t it great to ponder this being the “principle” guiding America’s chief diplomat? So, there’s that. 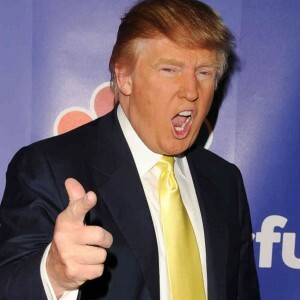 As for Donald Trump personally, it’s a bit of a roller coaster for American Jews–between being happy about an embassy in Jerusalem, versus horrified by the resurgence of hate in America that Trump rode to victory in 2016 and then defended as “very fine people” after he took office. With all this in mind, we’d argue that God’s got nothing to do with Trump, unless Trump is punishment. Senate Republicans are stepping up their defense of John McCain. And Donald Trump is ignoring them entirely. 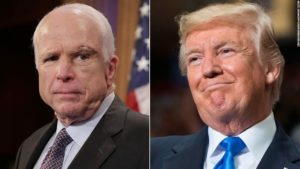 In just his latest bid to tarnish McCain’s legacy and reshape the GOP in his own image, the president offered a new set of attacks on the dead Arizona senator even after Sen. Johnny Isakson (R-Ga.) blasted Trump for “deplorable“ behavior on Wednesday and other Republicans issued statements defending their former colleague. But Trump made clear at an appearance in Lima, Ohio, that he’s simply not going to adjust his public views of McCain just because it makes his own party uncomfortable. For the first time in six years, the Denver Nuggets are heading to the playoffs. 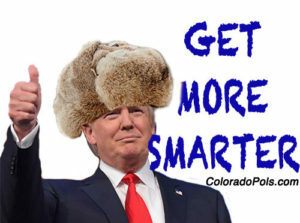 It’s time to “Get More Smarter.” If you think we missed something important, please include the link in the comments below (here’s a good example). If you are more of a visual learner, check out The Get More Smarter Show. The Trump administration’s border wall project could raid $77 million in construction money from Fort Carson, according to a Pentagon list released to Congress on Monday. The list, released to The Gazette by U.S. Sen. Jack Reed, D-R.I., ranking member of the Senate Armed Services Committee, puts more than $10 billion in military construction projects across the country and abroad on the chopping block since President Donald Trump declared a national emergency to build the barrier along the Mexican border. The emergency allows Trump to pull money from Pentagon accounts. 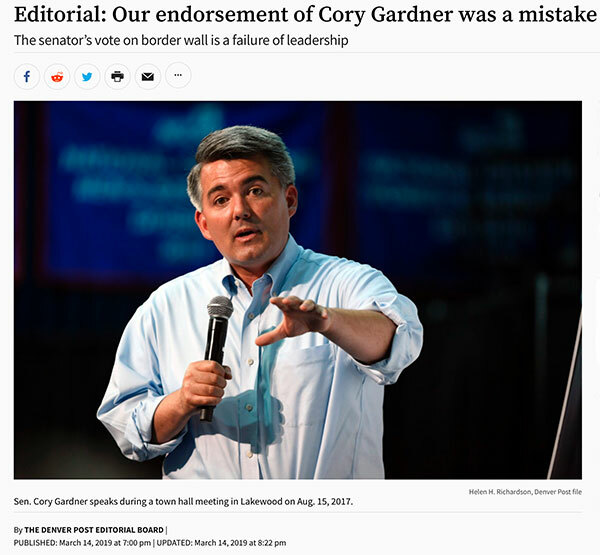 U.S. Sen. Cory Gardner, R-Colo., exacted a promise from the Trump administration last week that Colorado military construction money wouldn’t be “repurposed” for the wall, a promise that spokesman Jerrod Dobkin emphasized Monday. But the Pentagon included the Fort Carson project on its list. Fort Carson was to provide troops with a long-awaited, improved vehicle maintenance shop to repair the post’s aging fleet of trucks, tanks and Humvees. Really great work, Sen. Gardner. The 2019 legislative session took on a new look when a sitting lawmaker took the witness stand in a lawsuit pitting Senate Republicans against Senate Democrats and the non-partisan Senate staff. Sen. Bob Gardner (R-Colorado Springs) took the witness stand in a Denver District Courtroom on Tuesday morning. 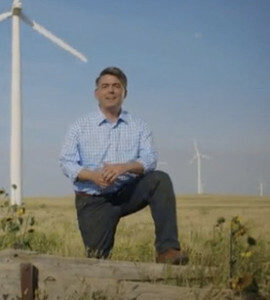 Gardner, along with Senate Minority Leader Chris Holbert (R-Parker) and Sen. John Cooke (R-Greeley) were excused from the Senate on Tuesday morning to be at a Denver City and County Building courtroom. The trio have sued Senate President Leroy Garcia (D-Pueblo) and Senate Secretary Cindi Markwell over the computerized reading of a 2,000-page bill on March 11. ► As Jon Murray reports for the Denver Post, state lawmakers are looking at a host of different options for transportation infrastructure funding. Happy early St. Patrick’s Day. 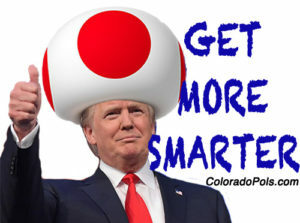 It’s time to “Get More Smarter.” If you think we missed something important, please include the link in the comments below (here’s a good example). 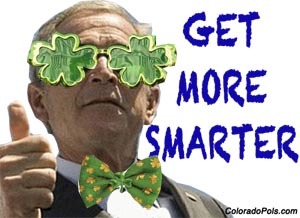 If you are more of a visual learner, check out The Get More Smarter Show. Public Policy Polling — on behalf of left-leaners ProgressNow Colorado and Protect the Investigation —surveyed 543 registered Colorado voters between March 7 and March 8. 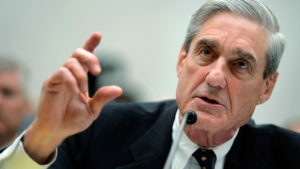 According to a press release about the poll, 77 percent of voters expect “a full, public report” on the investigation’s findings. 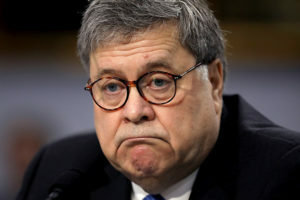 The Justice Department, under President Trump, will determine how much of the report is submitted to Congress and, by association, the public. ► So-called “red flag” legislation makes its way to the State Senate today after passing the House last week. Meanwhile, Governor Jared Polis and Attorney General Phil Weiser are speaking out against pressure from right-wing Republicans to encourage individual counties in Colorado to just refuse to enforce an Extreme Risk Protection Order (ERPO). 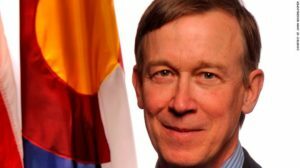 ► The Joint Budget Committee gets a new look at Colorado’s budget numbers today, which could play a significant role in how the legislature proceeds on one of Gov. Polis’ signature issues of offering free full-day Kindergarten in Colorado. Gardner’s decision illustrates a core principle of Trump Republicanism. Even in cases where a vote is clearly against public opinion at home (state or district) and even in cases where it is clearly politically damaging, they almost always come around to Trump. The final vote tally is 59-41 in support of the resolution. 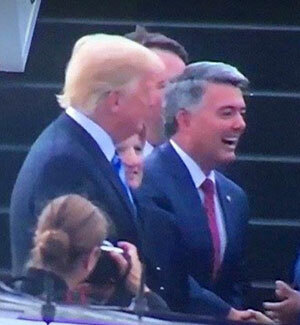 Will Sen. Cory Gardner (R-Yuma) stand behind President Trump today? Three Republican senators made a last-ditch effort Wednesday night to strike a bargain with President Donald Trump and help him avoid an embarrassing defeat in the Senate over his national emergency declaration. South Carolina Sen. Lindsey Graham phoned Trump while he was in the car on Pennsylvania Avenue to inform him that he, Texas Sen. Ted Cruz and Nebraska Sen. Ben Sasse were on the way. The trio had made an unsuccessful attempt earlier in the afternoon to sit down with Trump, but White House aides said it was too late and didn’t see the point in bringing them over. 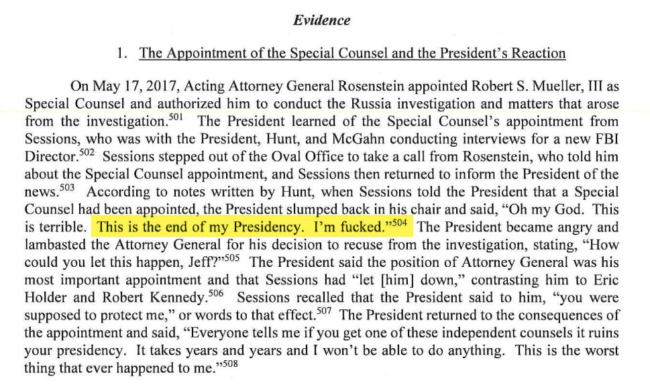 Trump had already told staff he was resigned to issuing his first veto after it became clear that enough Republicans will support the measure to overturn the declaration. According to CNN, the White House expects as many as 14 Republican Senators to support the bill (the House has already approved the measure), which President Trump has promised to veto. 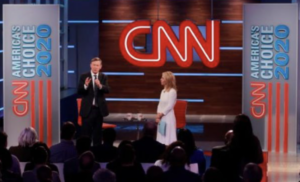 Republican Senators Mitt Romney of Utah and Lamar Alexander of Tennessee announced this morning that they would oppose Trump’s fake emergency. 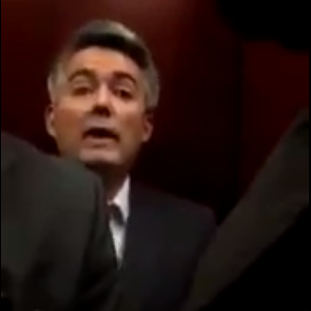 We still don’t know what Sen. Cory Gardner (R-Yuma) plans to do today after weeks of cringeworthy waffling on the proposal. It was one month ago to the day that Gardner told Ryan Warner of Colorado Public Radio that he had personally advised Trump against the “emergency declaration”; Trump went ahead and signed the order that same afternoon, and Gardner quickly began backpedaling on his opposition. 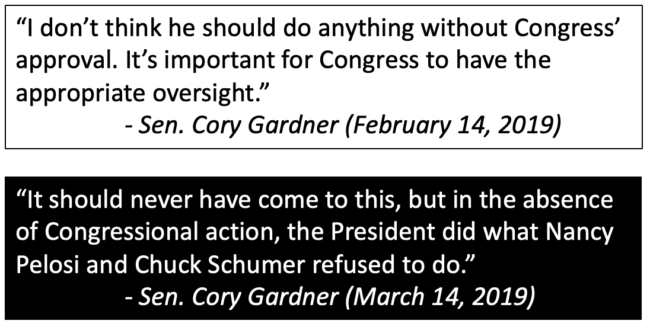 Most Americans disagree with Trump’s “emergency,” but Gardner has shown an unusual (for him) level of loyalty to Trump in recent months (see: Wednesday’s weird vote to stand with Trump on American involvement in Yemen’s civil war). 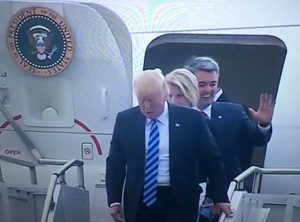 Gardner could support the measure to rebuke Trump on his emergency declaration, which would align with the thinking of Colorado voters in general, though that would make weeks of waffling seem especially pointless. In the end, Gardner may be too terrified of Trump (and his rabid base) to do anything other than line up behind the big orange guy. 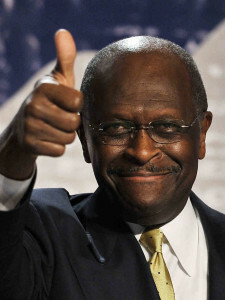 One way or the other, it’s about time for Gardner to rip off this band-aid. After a successful fundraising drive last year led by local Republicans, Colorado Springs portrait artist Sarah Boardman was commissioned to paint a portrait of President Donald Trump for the Colorado Capitol. She’s putting the finishing touches on her work, which she says will done by the end of the month. Boardman also painted a portrait of President Barack Obama, which hangs at the Capitol. Read more about Boardman here. Boardman took time over the weekend to answer questions, via email, from the Colorado Times Recorder. The first set of queries is about her artistic process on the portrait and her work as an artist; the second set addresses the response to the Trump portrait in particular. 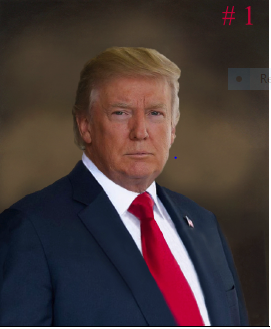 Boardman’s sketch for the Trump portrait, as well as her selection of the photo underlying it, were first reported in a Colorado Times Recorder article last year. Thank you again for taking time for this interview. I’ve got questions about the art itself and the response to your sketch. How’s the painting process going? Are you finding President Donald Trump harder or easier to paint than President Barack Obama? Neither harder nor easier. I love painting portraits, and each one brings different challenges and highlights. I approach each one as an individual project and prefer to avoid comparing them as I go along. Do your personal feelings about Trump affect your work on his portrait? Not at all – when I start to paint a portrait, it is the portrait, likeness, and “essence” of the subject which I strive to portray. Any personal feelings about any subject are not relevant and are left outside the studio per my training to “leave those emotions at the door”. You told me that you’re painting by daylight only, as opposed to artificial light. Why? Yes, I do paint portraits in natural daylight. Light from the north is indirect light and produces the most consistent, cool, environment with the fewest changes in shadows and values throughout the day. Natural, northern, daylight does not change in temperature during the day as sunlight does, so the atmosphere remains much more controlled and I do not have to continually readjust colors because the sun is moving and changing the light.